This Ziland High Pitched Loud Football Whistle is ideal for use in all team sports from Football to Rowing and also outdoors to attract the attention of people or dogs. Perfect for using as a distress and signalling whistle on life jackets and on boats. Hi I love these little whistles, so bought ten. They are so economical. I worried about training my dog to a whistle as I worried that I'd keep loosing the whistles and never have it where I needed it. However with these handy sized economical whistles I've been able to buy enough to ensure they are everywhere, just when I need them! Good value for money. Given to my daughter who is a teacher, she is very pleased with it ! I can recommend it. It certainly gets the attention of my ducks and hens. It looks cheap but does the job. Worth the price. This whistle as gone down well with the chaps i gave them too, the kids know who's in charge. Its a great whistle. 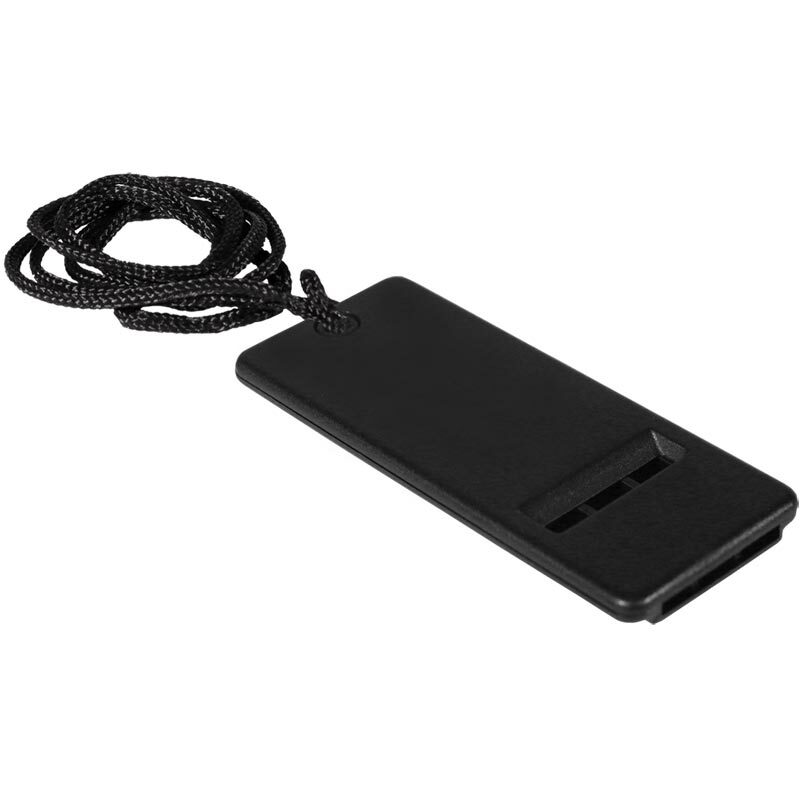 Excellent product at a very good price, this whistle is robustly made and very trendy, no problems at all with this product, I'm well pleased. 5 out of 5 The Dog's B******s! I use my whistle to get the dog's attention - it works well. Whether the dog chooses to come to me is different. These whistles are great- loud and sound good. Easy to blow all grandkids love them. Sound like old police Stop !! whistle. Got a further 10 ! Brilliant piece of kit! I was sick of hearing my neighbour's dogs from dawn 'til dusk and beyond. The answer was to buy all the kids a whistle each and encourage then to use them - I think the message has got across. And at a givaway price ! Great price and works fine. At this cheap price well worth it. Bought for kids party bags. They where as described and arrived on time. 5 out of 5 Bargain ! These are a bargain for the price, and very slim (~5mm thick). Each "divider" you can see in the whistle aperture produces a different pitch, so it's quite audible amongst other noises. We bought two for dog walking, and have already recommended them to several other owners.